Candidates Madison Lynn, Justin Brown, Grant Reed and Doni Purifoy answer questions from student at the 2018 SGA debate unopposed. During Tuesday’s special session of the Student Government Association, student officials gathered to host the annual SGA Debate. In the University Union Capitol Room, four students gathered for the debate; all however, running unopposed. Among the four was current Chief of Staff Justin Brown, running for the position of Student Representative to the Board of Trustees. Two main positions Brown has held on campus this academic year would be the SGA Chief of Staff and University Union Board Vice President of Finance. 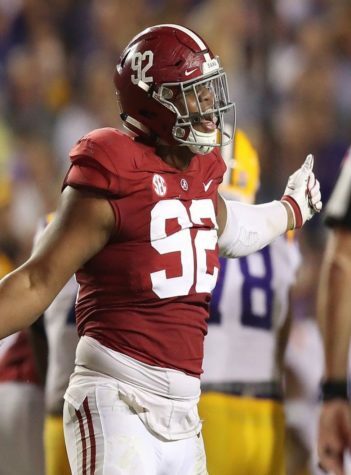 “I believe that the experiences I have had working with administration will give me the upper hand in dealing with them next year,” said Brown. Brown trusts that by working with the University Union Board he has gained many strengths to aid him in this position. He has learned and will continue to learn many different university policies and procedures, as well as making sure event planning is up to university guidelines and regulations. He has also been in the room through various discussion that current Student Representative to the Board of Trustees Wil Gradle has brought up. The Student Representative to the Board of Trustees candidate also ensures to work with all students while working in this position by making students voices heard at Western Illinois University. While holding the Chief of Staff position, Brown has been able to appoint 30 students to various committees and councils on campus to get the student voice heard. Next to the podium was Grant Reed. The current Student Government Association President up for reelection began speaking on how he wishes to continue his work as SGA President. Reed believed that this year was a great learning opportunity although he did think it was also a bit of a difficult transition. The current president however thinks it would be very beneficial to stay in his current leadership position because it would be helpful in growing the association as a whole. Reed also finds himself to be a qualified candidate through his leadership role serving Co-Director of Homecoming. 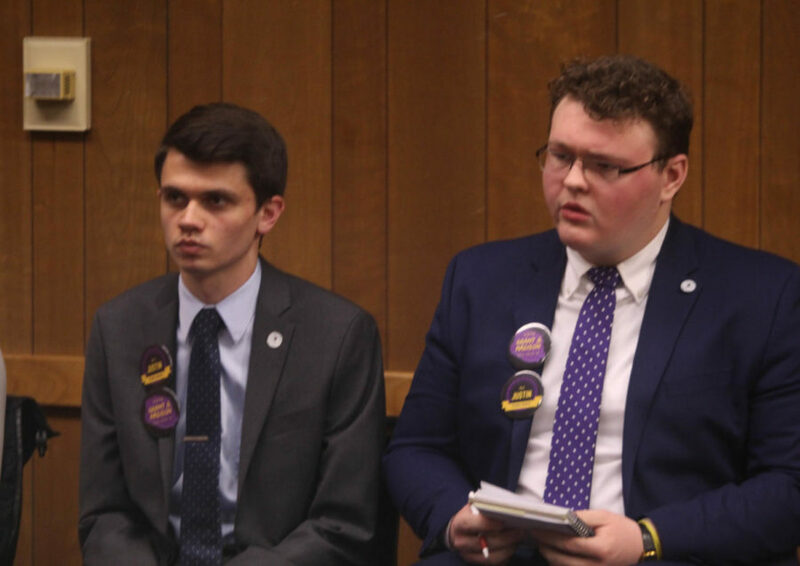 Purple and gold runs deep for Reed so he believes that that passion also serves as drive to continue to better Western Illinois University as a whole. With this the candidate looks back to the four core values of Western and reflected on the social responsibility of being the association president. “Social Responsibility goes back to the roots of the word, ranging from making sure you are an informed and involved citizen to being a civically active adult,” said Reed. The third candidate to reach the podium was Madison Lynn. Lynn served as the 2017- 2018 Director of Academic Affairs and is in the running to be the 2018-2019 Vice President of the Student Government Association. Lynn sees herself as a worthy candidate for the position as her previous cabinet position entailed her to act as the student representative to the faculty senate. Assuming elected, Lynn plans to continue her active office hours. Next year Lynn hopes to go to each organization within the Student Organization Center frequently to ask for areas in need of improvement around campus to improve on campus life as a whole.